Two members of the Seneca High School Cross Country coaching staff were awarded state-wide awards at the South Carolina Track and Cross Country Coaches Association meeting this past Saturday at the SC High School League Office in Columbia. Head Coach Leavell Wall was awarded the State Coach of the Year Award for AAA Girls Cross Country. 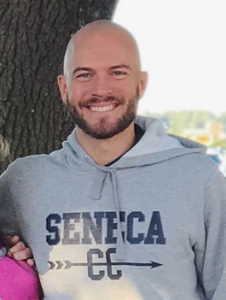 Coach Wall is in his first year as a coach on the staff at Seneca High, after working as an assistant track and cross country coach at James Island High School for several years. Coach Wall has used his energy and passion for coaching to lead the girls’ cross country team to a AAA State Championship in 2018. Coach Wall will be coaching spring track, working with the sprinters. 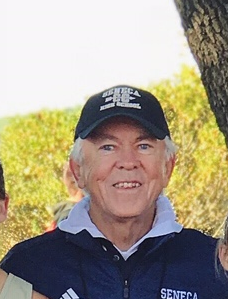 Coach Hayes Cross was named the 2018 State Assistant Cross Country Coach of the Year by the SCTCCCA. Coach Cross is in his third year with the program, and in that time the girls cross country team has won 3 region championships, 1 state runner up, and the 2018 state championship. In his time coaching, he has had an impact multiple championship teams, with 1 boys cross country region championship and 2 top ten finishes in the state, as well as 3 region championships in boys track, 2 region championships in girls track, and a state championship in boys track in 2018. Coach Cross has been a great addition to the coaching staff, and this award was well deserved! Please congratulate these coaches if you see them around the community for their dedication and service to our student athletes.